As you may have noticed, Bitness has been on hold. I’ve just returned from Jamaica where I spent the week with family. Unlike last year, the weather was amazing. Plenty of swimming, golf, running (holy hills and humidity!) and playing with the kids. I also had a chance to film and produce a DVD for a local surfer Claudius Ramsay, who is spearheading an effort to get the Montego Bay area on the map with the Jamaican surfing scene. 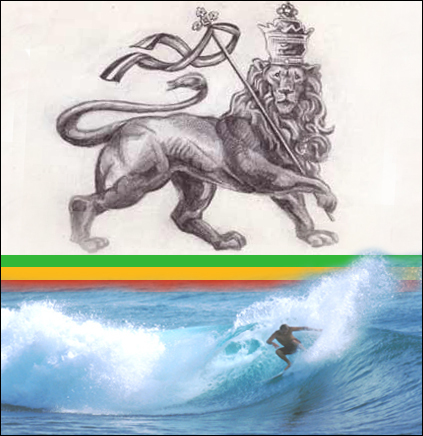 Like most Jamaican surfers, Claudius rides a Quashi, a brand of board I had never heard of. I was impressed with the shape and quality construction of the Quashi Claudius rode. Heavy onshore breezes and a disjointed reef didn’t help shape the waves where we were and there was no way to distinguish sets as far as I could tell. Regardless, Claudius caught 4-5 waves and milked what he could from them for the camera. Jamaica has an up-and-coming surf scene. Their team continues to improve at world events and Quashi promises to become a better know brand for surfers around the globe. I’m back and the weather is cold. Sugarbush has been spinning the lifts for almost 2 weeks! If this is a sign of what we can expect this winter then strap in a point downhill because it could be epic!